If you're considering a place to play Bubble Soccer, consider Santa Monica. 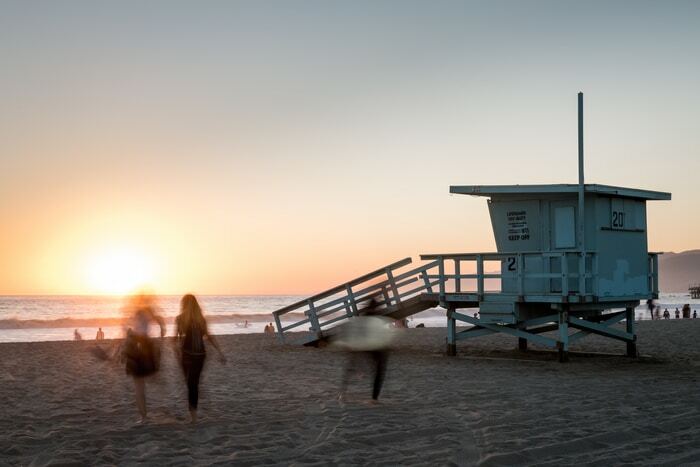 Santa Monica is beautiful, very close to the ocean, and contains tons of urban restaurants with a variety of delicious choices that's sure to meet the demands of your needs. It's no wonder that it's a hot tourist spot that consistently draws traffic from all over the world. Given the tons of things you can do in Santa Monica, your time with your friends doesn't have to end after a game of Bubble Soccer. Where can you play Bubble Soccer in Santa Monica? One specific place in Santa Monica that we recommend for Bubble Soccer is Dorothy Green Park. It has a wide green space, the most ideal surface for Bubble Soccer, and is right next to the beach. Within a minute of walking, you'll be in front of the ocean, that's how close you'll be to the beach. Not to forget, you'll draw attention from crowds standing around your event wishing that they were you. Play a game of Bubble Soccer, which is a great aerobic exercise, and after, relax at the beach with your friends. That's two fun activities that you can add into your schedule on the same day. Usually it's one activity or another, but not when Bubble Soccer is played right next to the beach! Sounds like an enjoyable time? It is. What beats playing a stimulating activity then spending quality time with your friends especially at the beach? And here's some good news. We provide Bubble Soccer rentals all over Santa Monica. things to do in santa monica after playing Bubble Soccer and relaxing at the beach. After you're done with Bubble Soccer and relaxing, you'll want to eat, right? You'll have tons of options for you as Downtown Santa Monica is only a 5-10 minute walk from the beach. Downtown Santa Monica has tons of options, whether you're looking for affordable, fancy, romantic, or vegan, you'll find something that meets your preference. Bubble Soccer, relaxing at the beach, then eating great food; time to end the day? The day doesn't have to end here! There's tons of shopping malls and urban stores right in the heart of Downtown Santa Monica. 3rd and Promenade offers 3 long blocks of diverse shopping stores. You can even buy a Tesla at 3rd and Promenade! Okay, maybe you don't want to buy anything but that shouldn't stop you from going there. The beauty of this place is you can enjoy this outdoor shopping mall without purchasing anything. Tons of street performers come here to entertain passersby and they're sure to dazzle you with the tricks they have up their sleeves. Sounds fun, and interested in planning a Bubble Soccer, but need to learn more about Bubble Soccer? Learn more about Bubble Soccer. Ready to plan your next great event? Get your Free Quote for Bubble Soccer in Santa Monica.